Are you ready to wake up with make up? 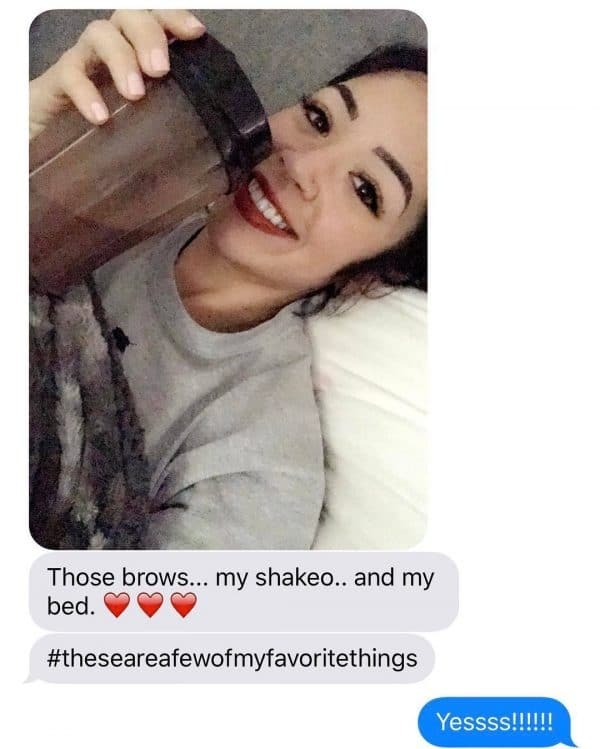 I'm Mel and I absolutely love eyebrows, hair and anything related to fitness. Which is why I want to introduce you to Microblading which is now available in Mesa, Arizona! 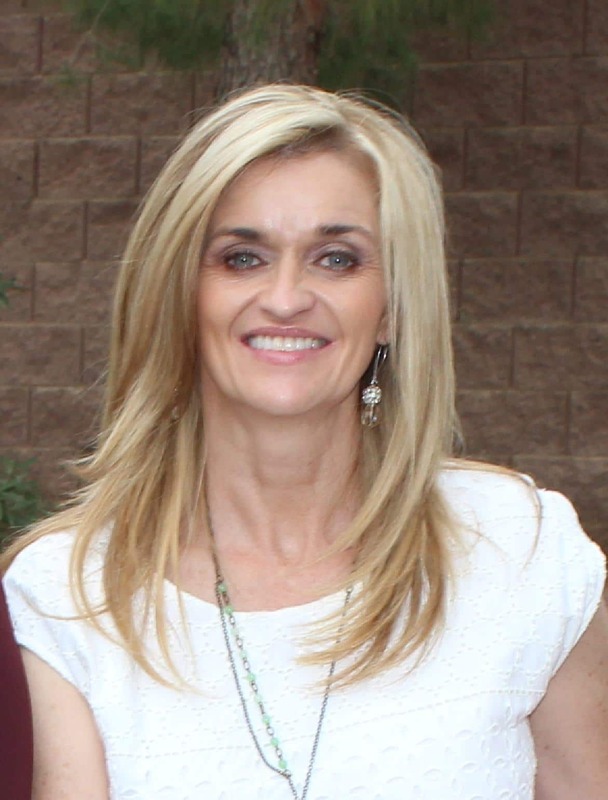 I'm Mel and I'm a licensed Medical Aesthetician, mother of 5 kids and obsessed with helping women look and feel younger! I do what I do because I love making people feel good about themselves, it's the main reason I pursued a career in the beauty industry. I'm also obsessed with fitness and all things health related. I want to help women feel good on the inside by taking care of their bodies and helping them look amazing on the outside! I have wanted to do hair and makeup since I was a little girl. It started by cutting my barbie's hair and It grew into doing any and all of my friends in middle school and highschool's hair, makeup and shaping their brows. I've been licensed for hair and eyebrows for 11 years and I absolutely love it. While I still love hair and makeup my true passion lies in shaping brows and microblading. I found I have a natural eye and talent for looking at someone's face and creating the best shape for each individual client based on personality and preference. My goal is to make every woman feel more confident and amazing after any appointment with me. I am very passionate about helping build each other up and bringing out the true and natural beauty in each woman who comes to see me! 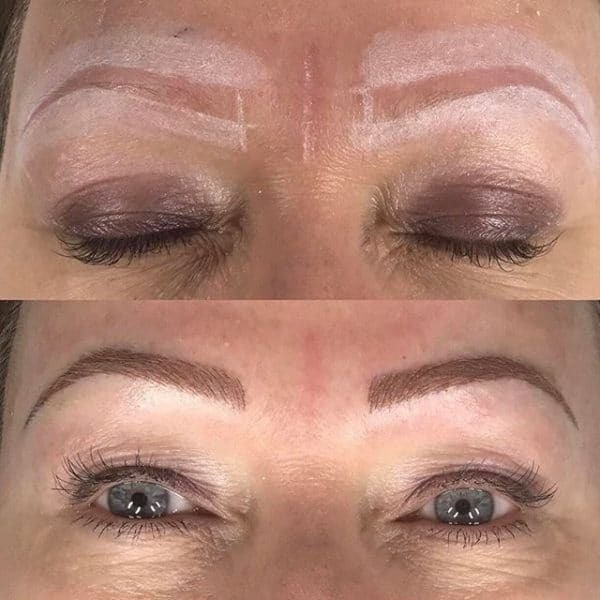 After looking at some before/after pictures I think you will agree that microblading is amazing. So let's jump into the basics here. These are the most common questions that people ask prior to the procedure. If you are interested in getting this done make sure you read EVERYTHING below. 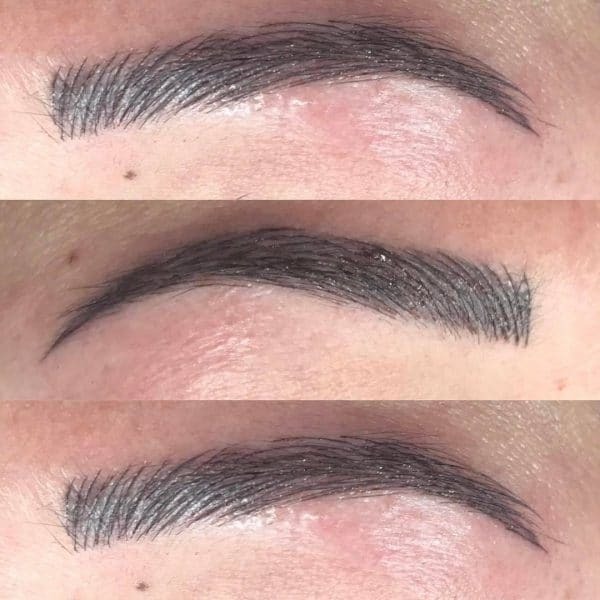 Microblading is a semi permanent technique used to apply pigment to your eyebrows in a way that makes it look like you have perfect naturally full eyebrows day and night. It is performed by ​taking a small blade, placing pigment on the blade and with strokes placing that pigment on your skin. This beauty trend originated in Asia but has been incredibly popular in Russia and has made its way to the states, specifically Mesa, Arizona! 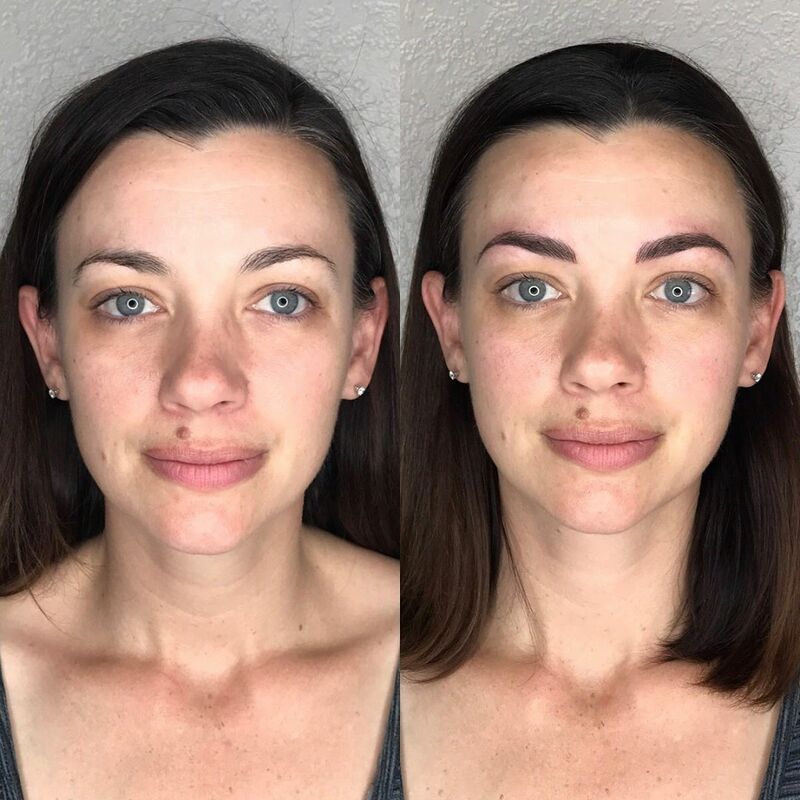 The amazing part about Microblading, 3D brows and ​Semi permanent eyebrows (all names for the same thing) is that the procedure doesn't leave you with scars, isn't very painful and the end product looks stunning. It's easy to see why microblading has quickly become a huge fashion trend in the US. The process starts with the drawing where I will sit down with you and pre shape your eyebrows out with a pencil. We work together on what is best for you as the client. I will give you my strong suggestions on what I feel looks best but also want you to love what you see. Remember these are YOUR brows and I want what makes you happiest. This way you make sure that you LOVE your eyebrows before we put them on your skin and it gives me an outline to work with. No matter how good the microblading strokes are without the perfect shape it won't give amazing results. Shaping is absolutely one of my strong suits. I then place numbing cream on your face to eliminate some of the discomfort during the procedure. Once the numbing cream has set in I will then use the tiny blade to place the pigment on your skin (into the Dermis) without going too deep. The entire process lasts about 2-3 hours and leaves you with amazing eyebrows IMMEDIATELY. The cost of the initial consultation plus the initial application AND the touch up 4-6 weeks later is currently $450. ​I also offer Vitamin B12 injections + fat burner injections to help boost your energy and burn fat (remember I'm into fitness!). And professional quality supplements designed to help ​grow your eyebrows, eyelashes and hair. 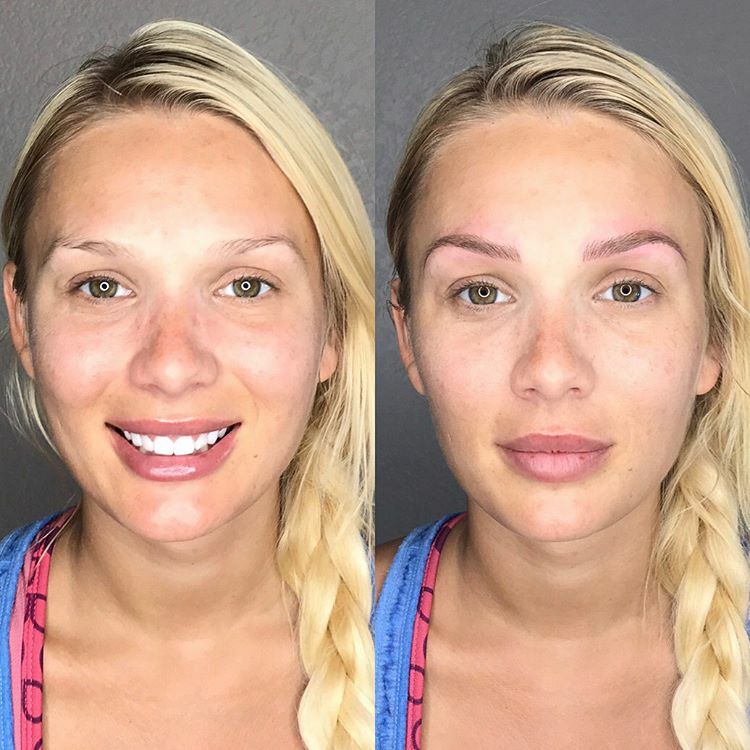 The truth is that microblading doesn't hurt THAT bad. Its been rated on average a 3-5 on a scale of 1-10. 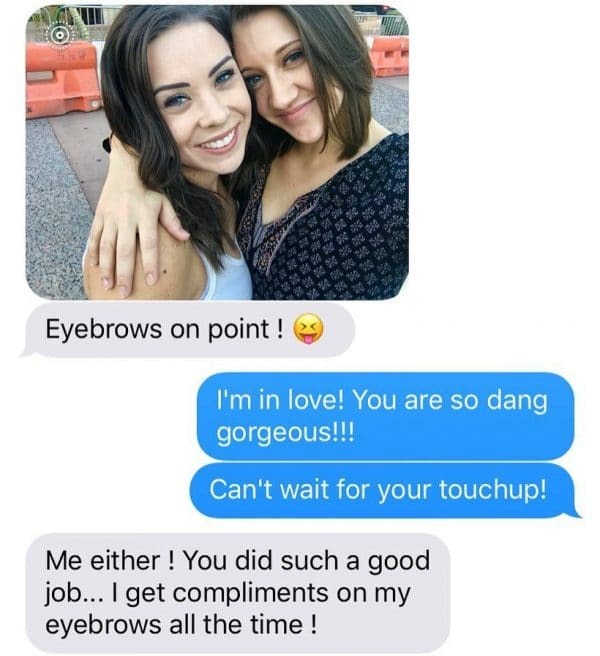 While it isn't necessarily enjoyable I have never had a client who sees their brows afterwards and says it wasn't worth it! Most people say it feels like pinching or tugging on the skin. To make the process less painful I use a topical anesthetic which is a combination of lidocaine and prilocaine (the same stuff that Dentists use). This cream is placed on the skin and allowed to sit for 20 minutes prior to any blading. I do whats called a dry heal. It's completely ointment and water free. You will leave here with clean brows and for the next 2 weeks give or take your body's healing process you will avoid water and sweating at all costs! Wipe them with an unscented baby wipe morning and evening to soak up your natural oils and keep them dry dry dry. So no heavy sweating and wash your face with pads or a washcloth and avoid your brow area. Once the scabs are off you can go back to washing your brows and exercising. The better you follow the aftercare the better your results will be. Your initial appointment takes approximately 2-3 hours. The first 30-60 mins ​is spent shaping the eyebrows to your specifications. No microblading is performed until you are satisfied with the shaping process. After the shaping process numbing cream will be placed on your brows and allowed to sit for 20 minutes. How do you make the shape? I use 3 points that make up the golden ratio for brows. From there we look at the symmetry of each brow. Most people start asymmetrical so we do the best we can to equal them out. I won't move just one brow we raise one up and lower the other to keep it as natural as possible. I use a wax pencil to draw on the shape so we can make changes and find the PERFECT shape for you! You need a follow up appointment 6 weeks afterwards and then from their any where from 12-18 months. As long as you come in for your yearly touchup with your strokes and shape still there ​it is considered a touchup. ​Will you pick out the best shape for me? Yes and no. I will place my input on where points must be like your arch and beginning and ending points, but I also love each clients input as well on other parts that have wiggle room. ​Do you have to touch it up after the first 2 visits? How much is the yearly follow up visit? *I also can make some arrangements for weekends if you are traveling from out of town, or need an appointment later in the evening - Text me for times and we can chat! If you have questions about availability please text or call me and I can let you know. I also am able to open up some Saturday's. How do you get the eyebrows symmetrical? This is a very tricky process. ​We can't just match one to the other. We find a middle point and raise one and lower the other tiny amounts to get it as close to symmetrical as possible. How do you pick out the color? The color process is also very extensive. Not only do I match your brow hair I also take into account your skin undertones. Picking the wrong color can result in ashy, purple, or muggy colors. So make sure your artist is trained in their color line. I have attended a very extensive color class specific to the color line I use to make sure I am giving you the best color possible. The pigment will stay in the skin for about 2 years. 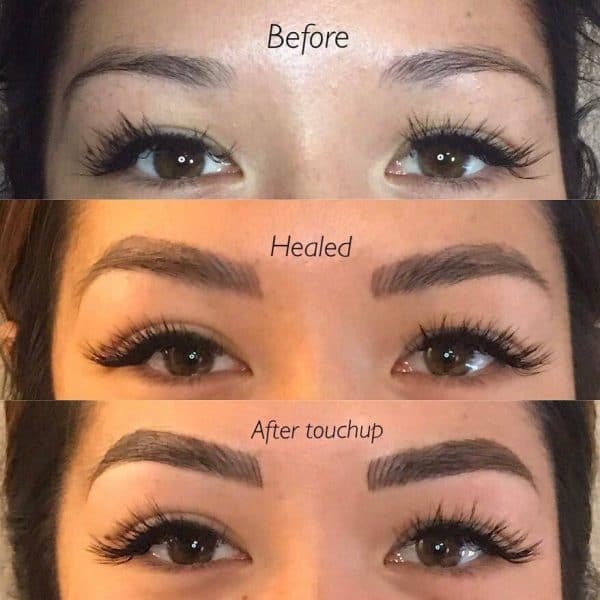 If you get touch ups once every year or so there will be no need to go through the entire procedure again (which is what I recommend). The first sessions lasts about 3 hours and the touch ups are only about 90 minutes to 2 hours. ​What should I expect afterwards? There is a process that your brows go through the first 2 weeks after your appointment. Day 2-5 they get much darker and thicker looking. THEY WILL NOT STAY THIS WAY! They fade up to 60% this is especially important for blondes clients to remember. After that they can look patchy and like the strokes are completely gone. Some do fade out completely which is why the enhancement session is so important​, and some darken back to where they will ultimately stay. It sounds very confusing but trust the process and don't judge your brows until 2 weeks after each appointment! ​As long as you are not pregnant or nursing you should be a candidate.